It’s time to deck the halls and trim the tree - the holiday season is in full swing at Filling’s. For this year’s holiday gift guide, we want to focus on an often-overlooked element of gift-giving: stocking stuffers. Hanging stockings on Christmas Eve is a time-honored tradition and as the saying goes, good things come in small packages! Here are our favorite stocking stuffers for this year’s holiday season. As children, the thought of getting them as a gift was enough to give us nightmares. Now, we love the simple luxury of a great pair of socks. But not just any old socks, we crave quality, sturdy, stylish socks, like these from Pantherella. Instead of just a utilitarian piece, socks have become fashionable, especially for men. Seeing these threads peek out from a pant leg brings whimsy and personality to any outfit. 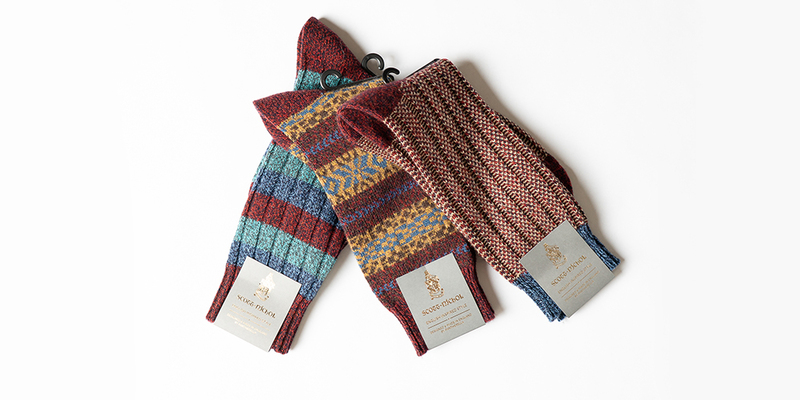 For the special woman in your life, give her a gift that is both practical and stylish, like these lovely mittens! 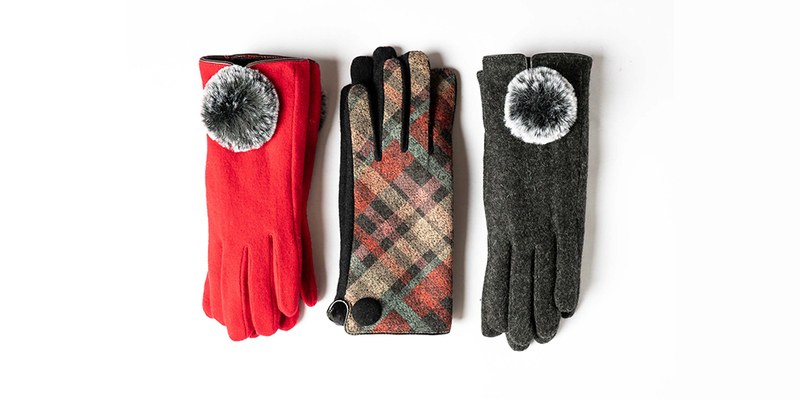 In warm fabrics like fleece and wool, these gloves will keep her hands toasty and warm even in the coldest winter wonderland. The cute pom poms bring an unexpected twist to these classic hand warmers, making them an instant winter wardrobe staple. At Filling’s we believe that accessories have the power to elevate an outfit from ordinary to extraordinary. These next two stocking stuffers are sure to bring your holiday looks to new heights. We love these strong and unique bracelets. 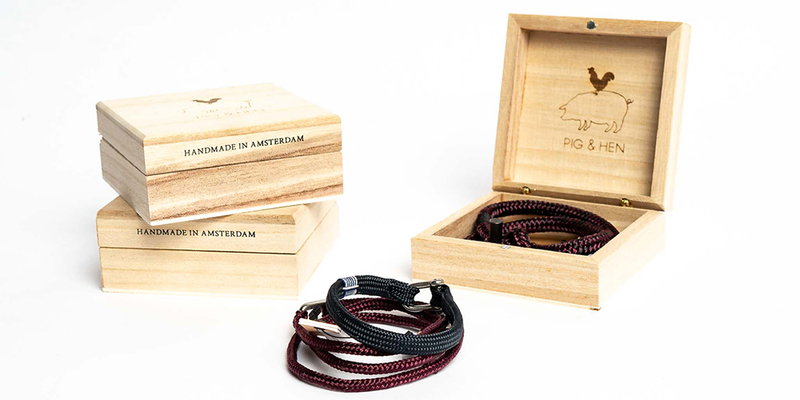 Handmade in Amsterdam from authentic Dutch ship rope, these pieces will never go out of style and will last a lifetime. We carry them in a variety of colors and styles, so you’re sure to find one that captures your man’s individual style perfectly. We’re channeling our inner Coco Chanel with this accessory. The tweed is effortlessly French and the colors add an unexpected edge. 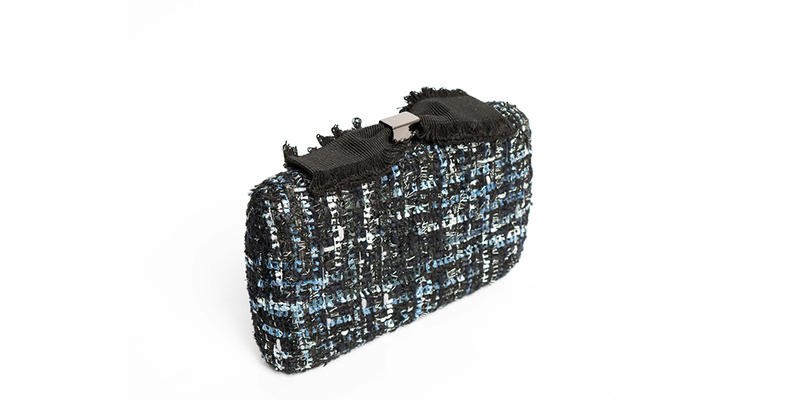 Finished with a black bow, this clutch is a must-have for the fashionista in your life. Once you’ve found the perfect gifts for everyone on your list, ask us to wrap them. We’ll make sure your packages look picture-perfect and ready to be given. From our family to yours, Happy Holidays and Happy Holiday shopping!